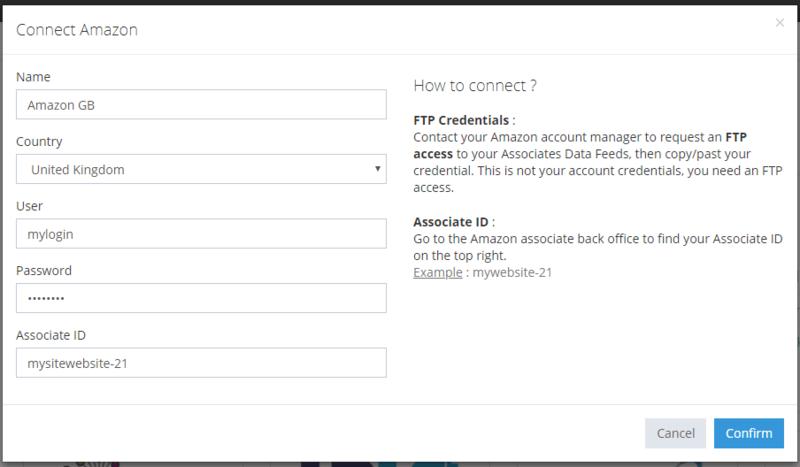 Unfortunately with Amazon, you can't have access to reports data with an API or other easy way. The only solution, if you have enough traffic, is to ask them an access to the DataFeed FTP. You can import data manually (see our documentation) if you don't have enough traffic to have access to DataFeed FTP. 3. Copy/past your main Associate ID that you can find on the top right on Amazon Affiliate backoffice.